Tax Free Saving Accounts (TFSA) Are Working – Are You Taking Advantage Of Them? A local think tank measures the amount of time it takes for taxpayers to pay their income taxes. In 2016, it will take until 25 May (“Tax Freedom Day”) before taxpayers can earn for themselves – in other words from 1 January to 25 May (146 days) you effectively pay your taxes and from 26 May to 31 December your earnings are your own. This is 5 days longer than 2015 and 43 days more than in 1994! Currently for every R2.54 we earn R1 is paid in taxes. In 1994 of every R3.62 we earned, R1 went to the fiscus. We desperately need economic growth but this is being undermined as taxpayers are one of the key pillars to stimulate growth. More concerning is that 1.1 million people (3.7% of the population) pay more than 70% of the income tax bill. Whilst these are alarming statistics how do South African taxpayers stack up globally? Global Trends – are we taxed too heavily? Governments are tightening up on taxpayer deductions as pressure to pay country debt increases. In 2015, world personal taxes rose by 0.41%. Social security taxes rose by 0.66%. VAT has spread around the globe and 160 nations have implemented a VAT system. What is of interest is that the global consensus for the optimal rate for VAT is seen at between 15 to 20%. This means there is scope to increase South Africa’s VAT rate to at least 15%. That would bring in R20 billion in increased government revenue. There have been hints from the Treasury that a VAT increase is being seriously considered for the 2017/18 tax year. The other important factor is that South Africa has minimal Social Security taxes (Unemployment Insurance Fund at 2% of earnings and The Compensation for Occupational Injuries and Diseases Act which starts at 0.11% of staff earnings). In other developing countries such as Russia they are over 30%. Local corporate rates also stack up favourably globally. In fact we have the sixth lowest tax rate in Africa. Our top marginal tax rate of 41% puts us at number 31 in the world. So all in all tax rates charged in South Africa stack up reasonably well versus other nations. The major concern is the narrowness of our personal income tax base with just under 4% of the population paying over 70% of income tax. It should also be noted that most of the tax increases in the last few budgets have targeted this group. Clearly this is unsustainable and it puts at risk the increased collections that SARS have been showing these past years. It also highlights the Catch 22 situation we are now in. The government has to increase tax to reduce the budget deficit but as it does this so it puts pressure on the 4% who pay most of the taxes. The solution to this is to increase economic growth which will widen the tax base. But one of the main engines for economic growth is the 4% who will have little incentive to ignite economic growth as they focus on paying higher taxes. In cases where no self-assessment was required, 5 years after the payment was due. Having the certainty of fixed prescription periods is an important part of balancing honest taxpayer’s rights with the Commissioner’s right to collect taxes that are due. So why the change? Why has SARS changed this? An inordinate amount of time is often spent clarifying whether or not SARS is entitled to information which it requests. There are cases where the taxpayer is slow in providing requested information, knowing that prescription will soon come into effect. Finally, many of the cases are extremely complex and cannot be resolved before prescription takes effect. What are the new prescription periods and how do they affect you? To provide at least some balance for taxpayer’s rights, the new right to extend differentiates between less complex but obstructive cases and complex matters. In principle the former seeks merely to extend the period to match that which the taxpayer has obstructed SARS whereas the latter provides a stated maximum period to continue to audit and investigate complex matters irrespective of taxpayer assistance. If a taxpayer fails to provide SARS with “relevant material” within the time frame specified, then prescription may be extended by a period “approximate” to the delay in submitting the information. Similarly, SARS may extend prescription by the time taken to resolve whether or not SARS was entitled to the information requested. When SARS decides to extend prescription, the taxpayer is to be given a notice period of 30 days. This notice period is to be within the prescription time frames i.e. 3 years or 5 years from date of assessment. As SARS determines what is “relevant material” and “approximate”, this gives Revenue wide latitude in watering down prescription and also no maximum period is prescribed. In this case a notice period of 60 days is required. If you are about to face a tax audit or investigation in these areas (note that it is Revenue who decides if they are applicable), it will be important you provide information to SARS as timeously as possible. You will no longer have prescription time on your side. 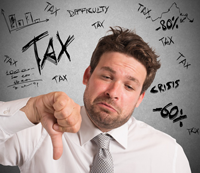 If a taxpayer wants to contest these provisions, the tax law provides no objection or dispute process. You can only invoke (PAJA) the Public Access to Justice Act or a High Court review of the decision which means going to court – a costly exercise. The powers given to SARS are widespread – it is important to seek expert advice if you face an extension of prescription for assessments. The parliamentary Portfolio Committee on Labour has recommended amendments to the Unemployment Insurance Act (UIF). As this received support from all parties, it is almost certain to be promulgated into law in the next few months. In view of the difficult economic conditions and high unemployment in South Africa, this is welcome news. The major amendment is that unemployment benefits will be extended to 12 months from the current 8 months. UIF benefits for people on short time. This is sound legislation as the UIF is considerably over-funded which also means there is little likelihood of UIF contributions going up any time soon. If your accountant uses IFRS (“International Financial Reporting Standards”) in compiling your financial statements, and if you lease assets, then changes are coming that you need to start preparing for. The International Accounting Standards Board has mandated new accounting treatment from 1 January 2019. Many businesses have cash flow issues, and as leasing conserves cash, they are users of leasing services. For these businesses, it is worth getting to grips with these new rules. The good news is there is plenty of time to prepare for the change but the changes will be complex and could have an effect on your ability to get loan finance. With a few exceptions (see below), operating leases will fall away. Instead of writing off lease payments to the income statement, you will be required to bring the value of the leased asset onto your balance sheet and provide for the lease repayments as a liability. Depending on the amount of leases you have, this could materially impact on your balance sheet. The income statement will also reflect changes. Operating lease costs will now be shown as interest expense and depreciation. All leases will need to be reviewed and unless they fall within the limited exemption rules will need to be capitalised. Exemptions include leases of 12 months or less or minor items (see example below). Leases for intellectual property, licensing agreements, leases for nongenerative resources (oil, minerals), service agreements and leases for biological assets are also exempt. All contracts are to be scrutinised to see if they contain a “right of use”. If they do they will probably fall into the new rules. Your asset base increases as the value of the lease is shown as an asset on your balance sheet. You show more debt on your balance sheet as the liability for the lease will be included in the balance sheet. Overall the changes net out over time but generally expenses will increase in the first few years and then decline in future years. Operating profit increases but depreciation and interest expense rise. Your cash flows are unchanged. Key business ratios change such as Earnings per Share, Return on Equity and the gearing of the business (debt to equity ratio). This could affect how banks view the strength of your balance sheet. It can also have internal implications for example if staff bonuses are calculated using say, ROE, their bonus will alter. 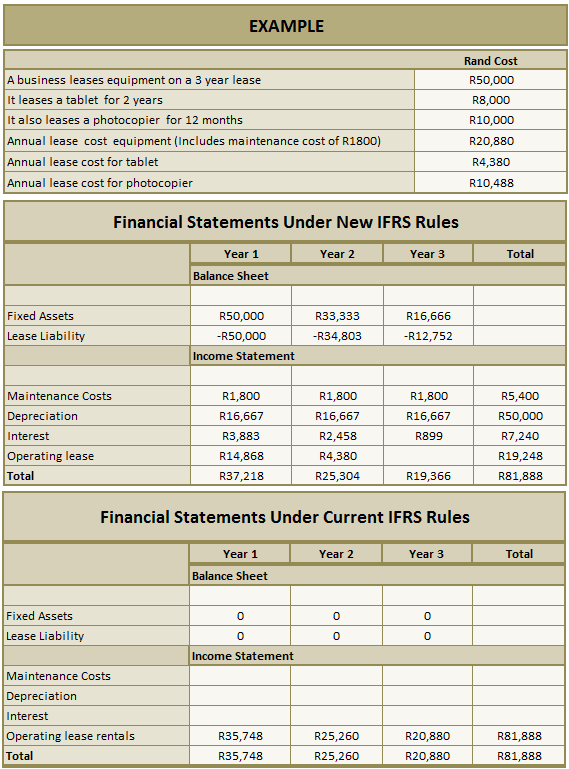 The balance sheet will show a fixed asset for the equipment and a liability for lease owings under the new IFRS rules. The differences in the Income Statements net out but note the increased expense shown in year 1 and 2. There is no change to lease treatment for small items (tablet) and leases of 12 months or less (photocopier). Maintenance costs are stripped from the lease and shown separately under the new rules. Cash flows do not change under either scenario. Lease cost calculated at an interest and discount rate of 9%. Depending on the number of leases and contracts you have this could be a time consuming and complex process – especially as you will have to set up new systems, accounting policies and methods of valuing leases. Also you need time to assess the effect this could have on your ability to borrow funds. Speak to your accountant who can guide you through this process. In the 2015 Budget, Finance Minister Nene introduced a tax free savings incentive. It allowed R30,000 per person per annum to be invested in a variety of funds including unit trusts, exchange tracker funds (ETFs), savings accounts and insurance products. The TFSA is capped at R500,000 contribution per individual. Within four months of the launch of TFSA more than R280 million rand had been invested by more than 46,000 investors. 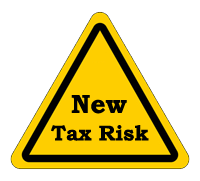 Research has shown that TFSAs will outperform other traditional investments as there is no tax payable. If you haven’t yet invested in TFSAs speak to your accountant or broker. Only the normal run-of-the-mill tax deadlines in April, but the annual employer PAYE reconciliation (EMP501) is due on 31 May. As this can take some time to do, the earlier you begin this process, the more time you leave yourself to iron out errors. Remember there are penalties for late submissions.